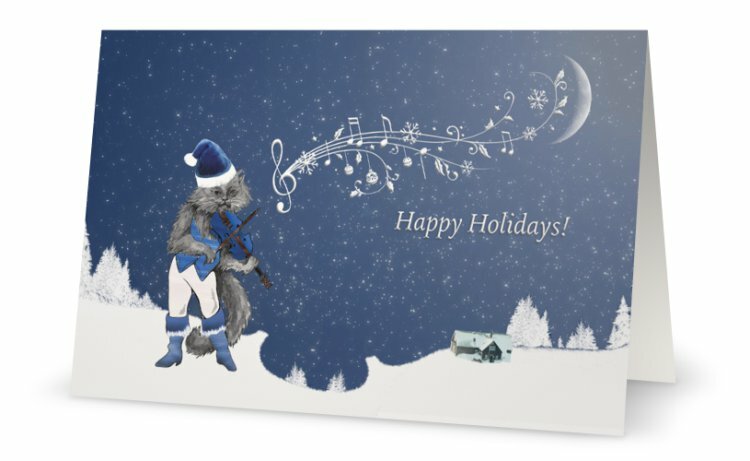 Cat in Blue Boots Playing the Violin Under the Moonlight - Holiday Card - 5"x7"
Perfect gift for a violin, fiddle cat lover. Horizontal Folded Holiday Card - 5"x7"
Printed on 80lb one-sided Glossy with UV Varnish. Glossy front and uncoated back. Each card gives you a chance to win. More cards, more chances to win the violin. 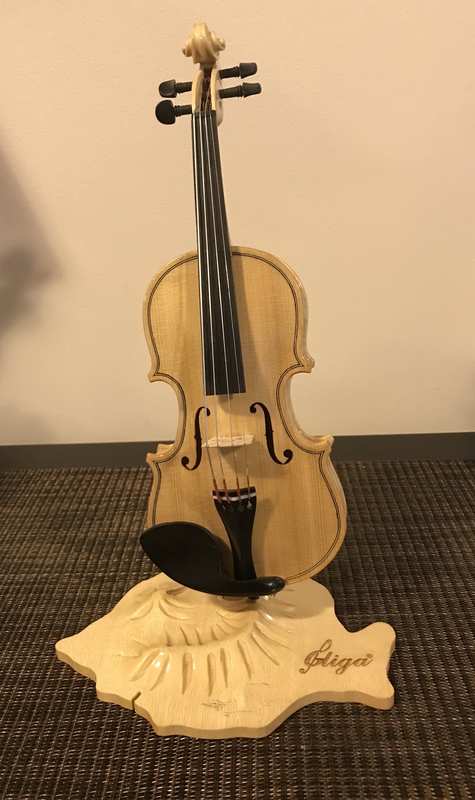 This is a real violin, playable, not a toy; a 3 year old would play this violin. 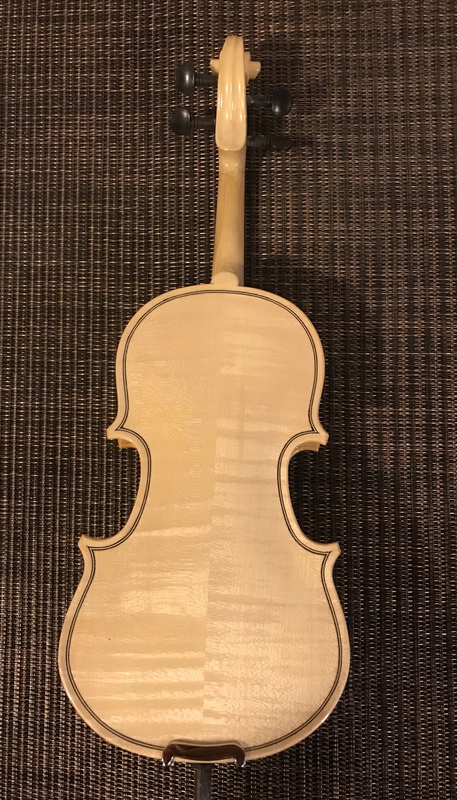 The height of the violin is 34.5 cm or 13.5". It's is made of flamed maple, resonance spruce, and the accessories are made of ebony. Excellent craftsmanship, real purfling, finished with transparent oil varnish. Excellent Christmas gift for a violin teacher, violin student, violin lover, or simply a fine art lover. The draw is held on Christmas Day, December 25th, 2017 and the winner will be announced by email or by phone. 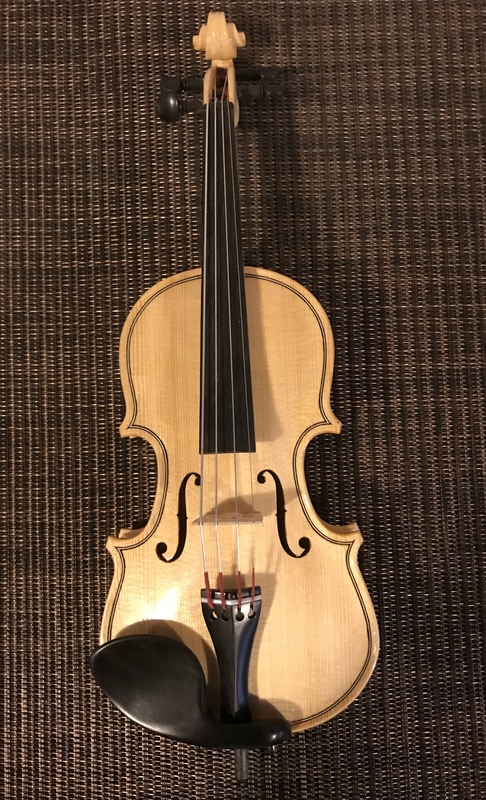 About the violin: - This is a real violin, a baby 1/32 size violin; it is not a toy. 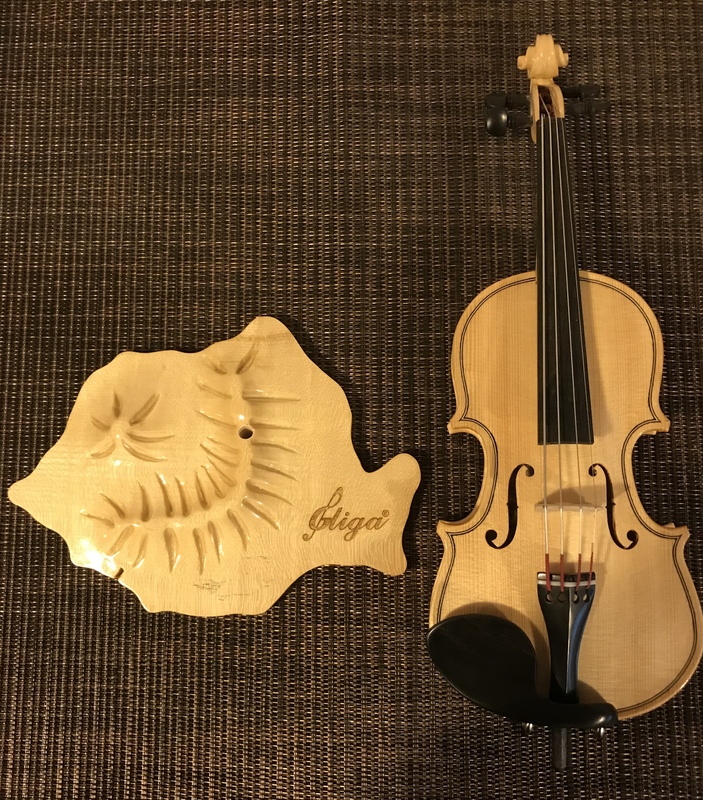 A 3 year old would play this violin. - It comes with a display stand in the shape of the map of Romania. - It's is made of flamed maple, resonance spruce, and the accessories are made of ebony. - It is finished with transparent varnish. 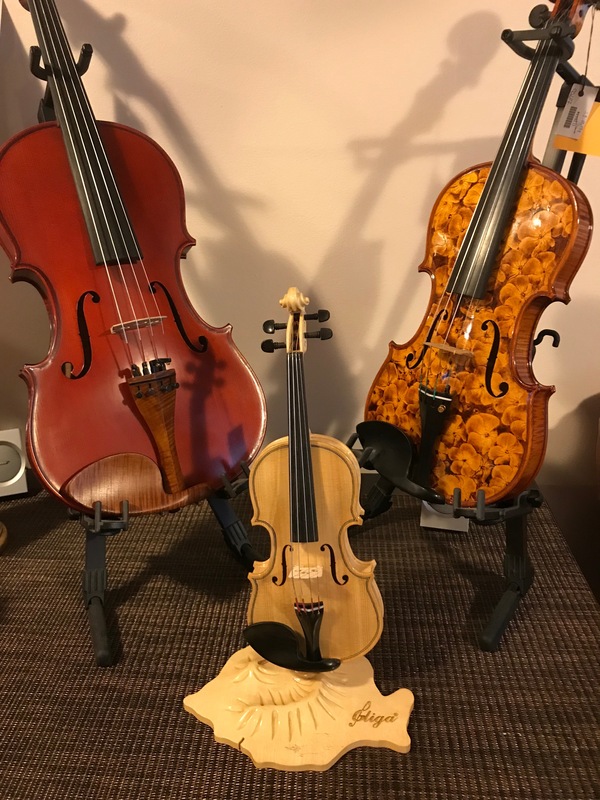 - Excellent Christmas gift for a violin teacher, violin student, violin lover, or simply a fine art lover. Good luck! 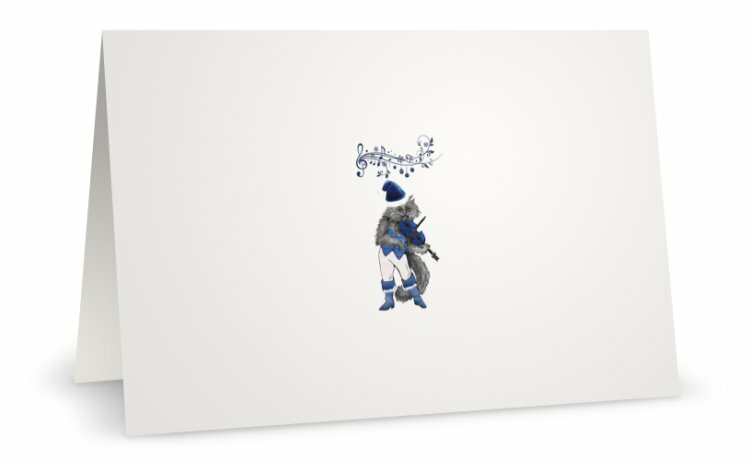 It is nice to have a card with a violin as a theme. I purchased a couple of this delightful card. The animation is delicate and humorous and warm hearted. Good quality card stock. Happy to send this card to my music andviolin loving friends. A perfect holiday greeting for a music loving friend! 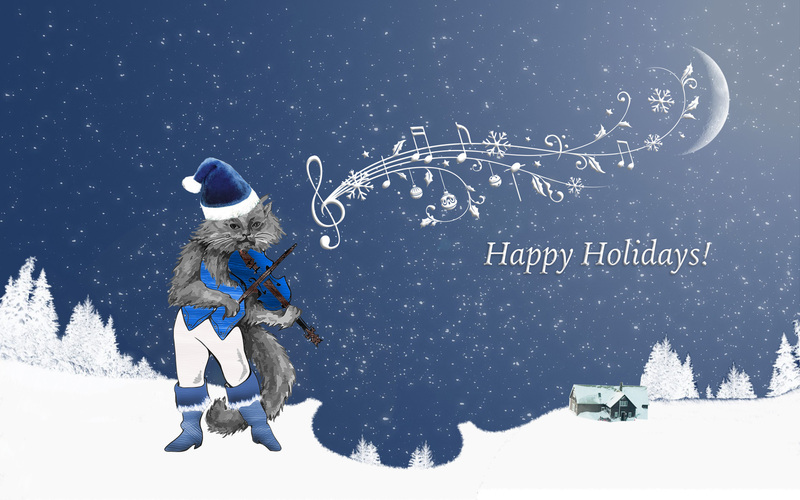 Click the button below to add the Cat in Blue Boots Playing the Violin Under the Moonlight - Holiday Card - 5"x7" - Win a Violin to your wish list.